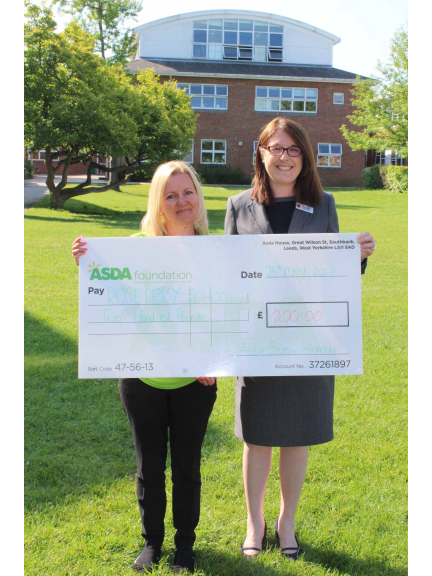 Rosebery School in Epsom has recently benefited from the generosity of Asda Burgh Heath who visited the school recently to present the headteacher Ros Allen with a cheque for £200. 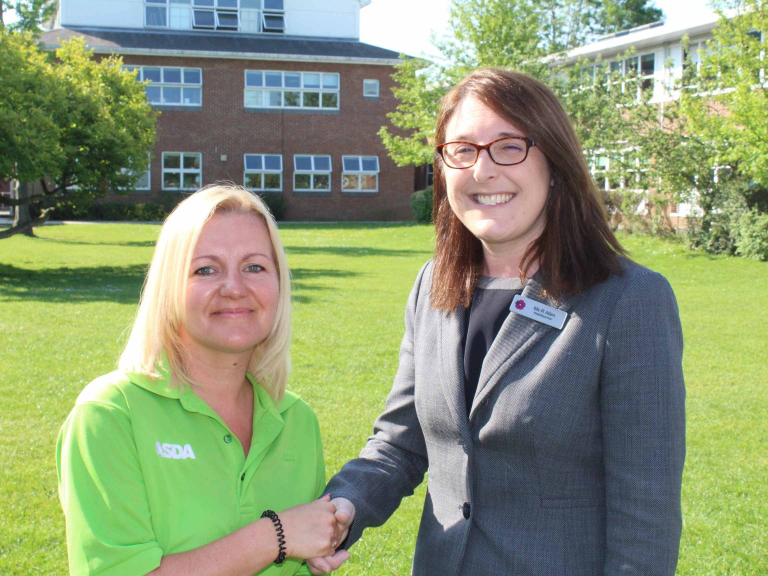 Rosebery School PSA approached Asda to ask if they could be considered as one of the charities to raise vital funds from the retailer’s Green Token Scheme. Shoppers in the Burgh Heath store between January and March were given a green token to use to vote for one of the three charities that were eligible for funds during that time.